Page Last Updated: November 3, 2012. 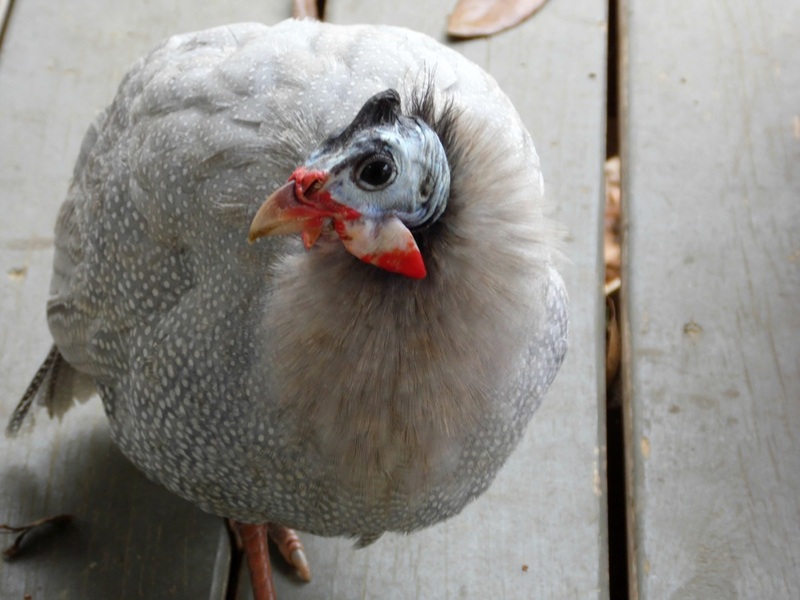 Guinea Fowl are native to Africa and have been kept in captivity and used by man for thousands of years. By 1500 BC, the Egyptians had incubators capable of holding tens of thousands of eggs and could claim hatch rates up to 70%. 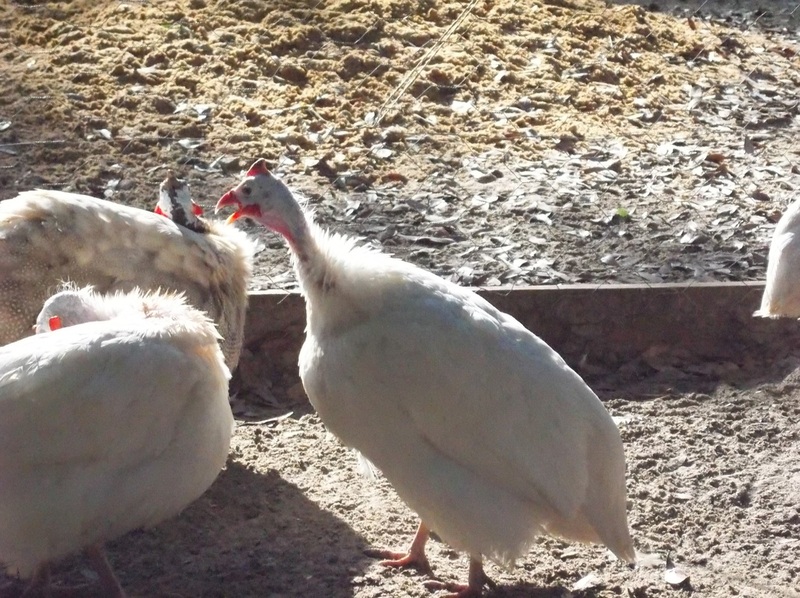 Guineas were brought to the New World a mere 16 years after Columbus made his first landing. The birds adapted so quickly to the islands of the Caribbean that they were thought by many to be indigenous. 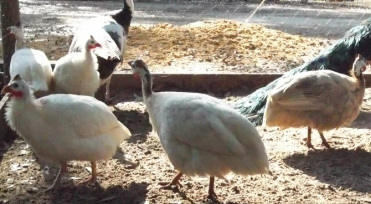 Guineas were always quite popular, but interest waned during the Edwardian period due, in part, to the beginning decline in small farms and the focus on increasing chicken and turkey production. In 1939, several new color variations were introduced to the US at the World Poultry Congress and Exposition in Ohio. Those birds remained in America and were the impetus for the many different colors seen today. Guineas are bred in a multitude of colors & patterns; there are over 60 combinations. The most common color is pearl gray, but other colors are: white, bronze, lavender, lite lavender, cobalt, royal purple, buff, buff dundotte, opaline, powder blue, and brown, to name a few. Guineas can be found in patterns such as pearled, partially pearled, & solid, as well as, having pied markings (patches of white). The best way to determine the color of a guinea keet is to examine the back of its head: Pearled keets have one broad stripe & two smaller on either side on the center of the head. Partially Pearled keets have smaller irregular stripes on the head, while solid keets have no stripes at all on the head. After you've determined the pattern of the keet it's much easier to determine the color. 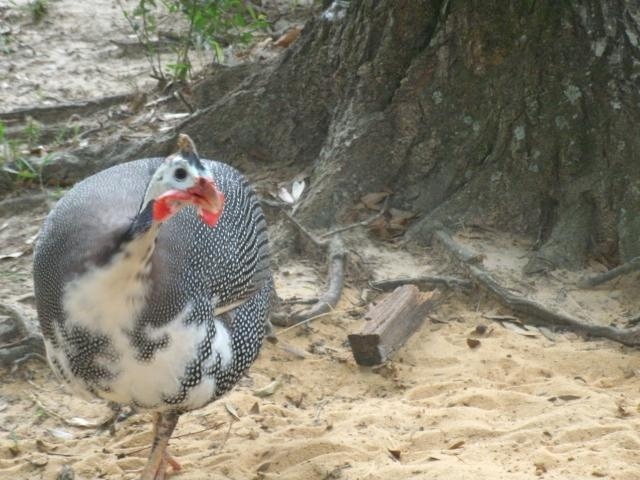 My family has owned guineas for many years (since 2003), and I have to say they're some of my favorite birds. They're been not only wonderful at controlling ticks, but also snakes.